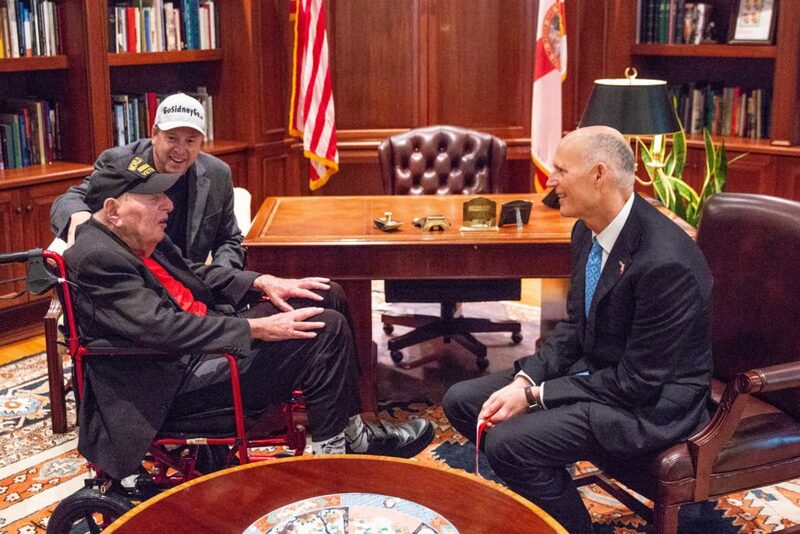 At the Florida Governor’s Mansion, Governor Rick Scott today presented the Governor’s Veterans Service Medal to Sidney Walton, a 99-year-old World War II veteran. Since 2013, Governor Scott has awarded nearly 15,000 veterans with the Governor’s Veterans Service Medal. Sidney Walton enlisted in the U.S. Army in 1941, nine months before Pearl Harbor, and served for a total of five years. He is on a mission to meet with each state’s governor before his 100th birthday, and kicked off his “No Regrets Tour” in April. To read more about Sidney, visit gosidneygo.com.